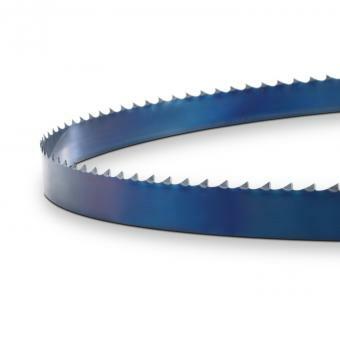 FLEX-BACK saws are manufactured in a special process that takes place in our high-performance hardening system. The tooth tip hardness gives a long product life even with hard materials; the flexibility and special tooth shape counteract bending fatigue and the associated risk of breaking. FLEX-BACK-Sägen werden für alle Hölzer und Harthölzer eingesetzt.